With your accomplished football player running out of trophy space, these large medals are great alternatives! These medals depict a large football on a tee next to a helmet. With choice of gold, silver and bronze they are ideal for placings in your competitive football league. 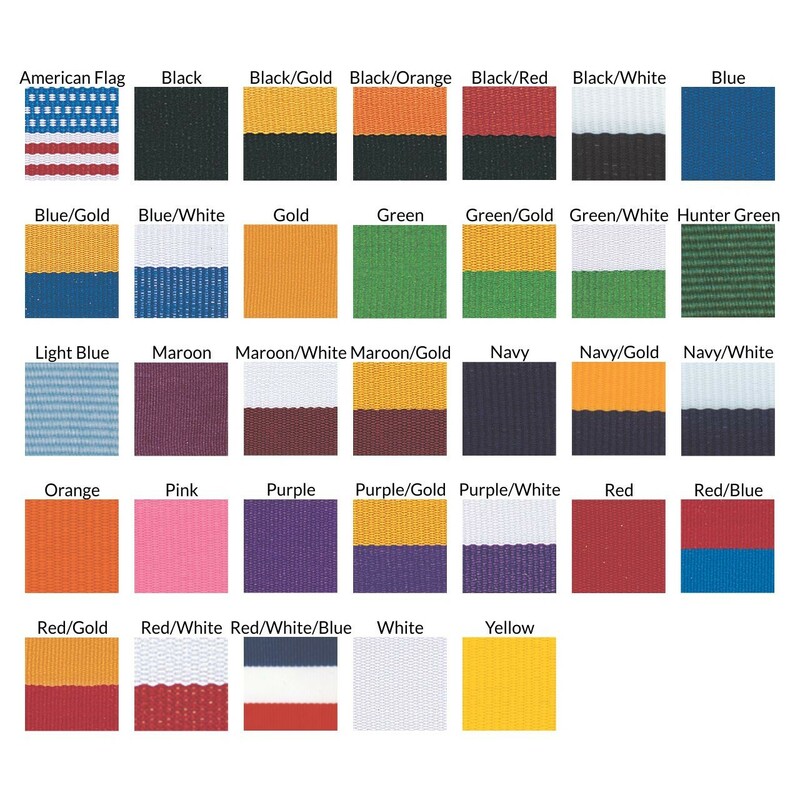 Customize with your choice of neckdrape color and up to 4 lines of engraving on the reverse. 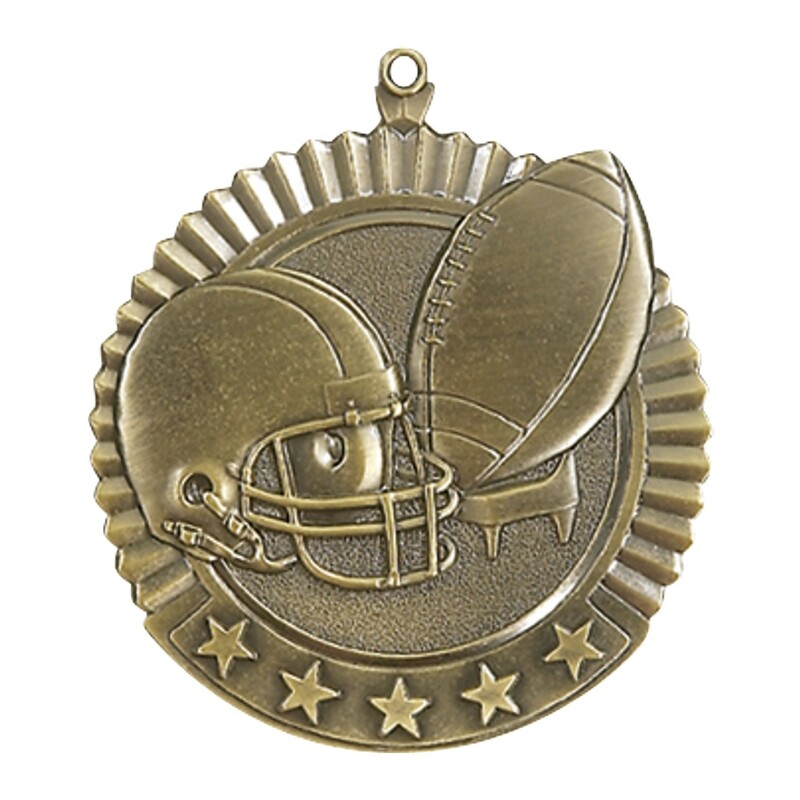 Show your football stars how much you value them with these Large Value Football Medals today!